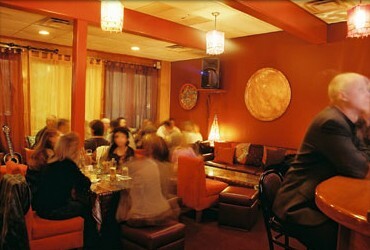 It may be cold outside, but it will definitely be hot and steamy inside during The Beehive’s Middle Eastern Night. Come on in from the cold and warm up with an exotic evening of live music, ethnic cuisine and belly dancing, compliments of some of the Boston’s best performers. Feast upon specially prepared Arabic dishes such as Moroccan cigars with lamb filling, mezze platters, and couscous ala Beehive to the globally inspired sounds of The Pharohs. Udi Joe Kouy-Oumjian and Harry Bedrossian (keyboards), Mal Barsamian (saxophone & clarinet), and Garo Papazian (drums) and their guest Za-Beth (zills), will serenade you with a whole host of Arabic, Mediterranean, Armenian, and Middle Eastern genres. 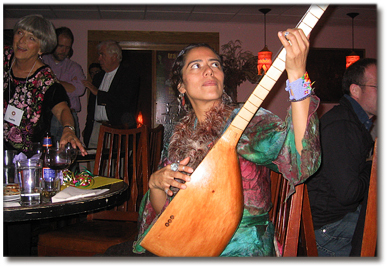 Topping off the evening will be nationally renown belly dance artist, Phaedra Rose. Dancing since the 1980’s, this highly talented entertainer is known for her sensual style further enhanced by its distinctive soulful qualities. She will be joined by local colleagues Raquel, Akasha, Amera Cristine, and Neylan. (Check out the video links) So, why not “forget” that its winter for just a little while with an evening of “super hot” Middle Eastern inspired cultural entertainment at Boston’s Beehive. I’m forever searching for local eating establishments in and around the Boston area that offer live ethnic music to go along with their fine cuisine. It’s these multi-dimensional experiences with world music that stand out as rather special in my book. Well, I’ve located what looks to be a real gem in this regard, conveniently located no less, right near Davis Square (Somerville). The folks at the Sabur Restaurant & Lounge serve up authentic cuisine from a number of Mediterranean regions including Italy, Greece, Southern France, North Africa, the Balkans, and elsewhere. In addition, on each and every weekend, they step things up a bit with their Kafina Saturdays. 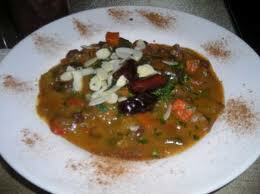 Lucky diners can enjoy live world music from Greece, Turkey and the Balkan nations along with their meal. So actually, the ethnic atmosphere here is not only multi-dimensional but multi-cultural as well. In addition here at the Sabur, they pay attention to every little last detail of authenticity, right down to the house decor! Take a look at the positive comments of food critics from The Boston Globe, The Boston Phoenix , Phantom Gourmet and other local publications. And then? Why not take a little trip to the Mediterranean without ever having to leave Boston at all. What intrigues me the most with respect to Sabur’s Mediterranean-inspired cuisine is the complex variety of flavors present in many of their individual offerings. Menu selections include Chardonnay carrot lentil soup, Seared sea scallops with crab polenta cakes, asparagus, moscato, and truffle butter sauce, Slow roasted beet risotto with wild forest mushrooms, parmesan, roasted acorn squash, and honeydew infused honey, Apple. cherry and pistachio strudel with warm caramel and vanilla gelato, and Macedonian wild fig sundae with vanilla gelato, almond frangipane and pomegranate caramel. Experience the Retelling of the Classic Christmas Tale of the Navity in a Whole New Light with the Ahlam Selene Arabic Dancers: December 11th, Sunday @ 7:30 p.m. Extraordinary dancing, acting, and , of course musicianship is what the Ahlam Selene Dance Company’s holiday production of the “The Little Drummer Boy” is all about. 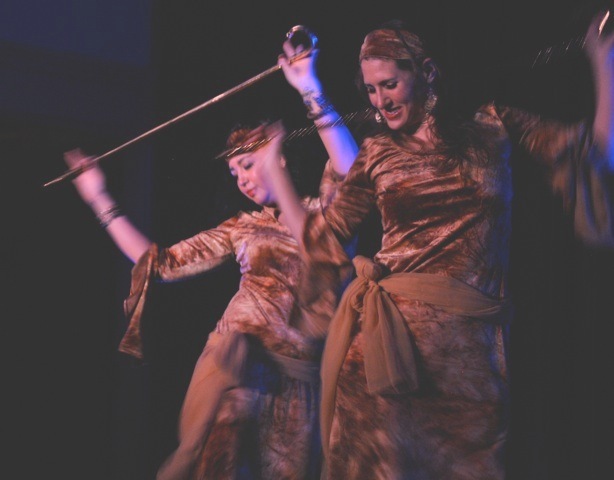 The Raks Nativity Theatrical Show is a retelling of the biblical tale through the most lovely and elegant art of Raqs Sharqi, commonly known in this culture as belly dance. Although this is the most widely embraced form of Arabic dance among the masses, Ahlam Selene has chosen to combine it with other lesser known forms of Arabic folk dance as well in order to bring audiences a dance showpiece that is especially well suited to effective story telling. 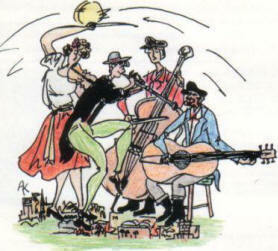 In the true spirit of dance theater, each of these genres have been somewhat re-interpreted so as to heighten their dramatic impact upon the audience who is thus presented with a performance filled with emotional intrigue and enchantment, not to mention the added treat of a little humor now and then to lighten the mood. The show was such a hit last year that 2011’s performance is actually a repeat. Also a repeat is the charity of choice for this year’s benefit event, “Cradles to Crayons“. 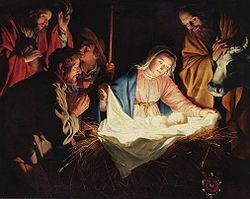 In 2010, Raks Nativity raised $1,400 to provide the needy youths of Massachusetts with school supplies and other essentials required to afford them a healthy, enriching learning and living environment during childhood that will ultimately serve as a sound basis for a successful adult life. The specially featured role of the little drummer boy will be danced and played (with the assistance of fellow percussionists Amira and Alber) by Johara who is not only known for her dance skills but is quite the formidable doumbek artist as well. Imagine dancing and drumming at the same time! In addition to receiving numerous local, national, and international accolades as a performer she has also managed to build quite a versatile career as a choreographer, instructor, and events planner, earning the utmost respect of arts critics everywhere. She is currently the director, producer, and award-winning choreographer of Boston’s Snake Dance Theater Company. Learn more about her many notable accomplishments here. This year’s additional line-up of talented entertainers includes: Cecilia al-Bahr, Susi Good, Badriya Al-Badi’a, Alaric, Alizah Afet, Qamar, Najmat, Nepenthe Ahlam, Jemileh Nour, Maia Selene, Lee Lynch, Angelo Scott D’Amato, Tricia Hopkins, Johanna Lynn, Aurel D’Agostino, Aleksie, Anahit Karyan, and Samira. Raks Naqtivity’s charitable goal this year is to raise $2,500 for “Cradles to Crayons” and judging from the fabulous success of the show last year, looks to do just that! What better way to usher in the holiday season than with a fabulous spectacle of world music and dance, compliments of the Ahlam Selene Dance Company. When: December 11th, Sunday @ 7:30 p.m.
… and more. All in all, this definitely looks to be a great show for a great cause! Join Klezwoods @ Johnny D’s for First Rate Klezmer Music and a Whole Lot More: May 17th, Tuesday @ 8:00 p.m.
As their name would imply, Klezwoods is indeed a Klezmer ensemble, however, their actual repertoire entails quite a bit more than that. 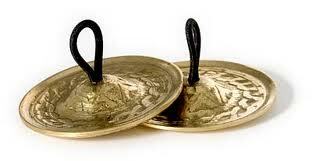 Concentrating on music of the ancient Ottoman Empire characterized by a wide range of cultural, religious, and political influences, the band plays selections originating from Turkey, Greece, Bulgaria, Macedonia, Israel, and beyond. As one would expect, much of the music which they perform is of Jewish origin, however, it is often artfully infused with smatterings of other styles and ethnic flavorings including, emo, nu-jazz, reggae, East Coast swing, gypsy, ska, Celtic, bluegrass, rock, groove, and Latin generally in the form of various folk genres further branded with the band’s own contemporary flair. Much of their music is bursting with energy which just begs the audience to get up and dance! Despite all of the many ever-present diverse styles within their Klezmer-oriented musical offerings, Klezwoods, being the accomplished world fusion artists they are, manage to blend them all beautifully into one aesthetically pleasing package filled with intense emotion. 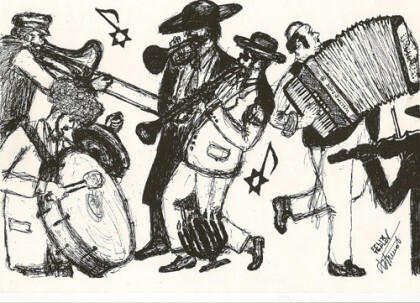 In keeping with the character of their music, the members of this 11-piece ensemble, consisting of vocals, horns, strings, guitars, woodwinds, percussion, and an accordion, come from diverse backgrounds, and yet are able to perform together effectively as a unit in their very own trademark style. It is this variety of musical personalities that makes this band’s brand of music so unique and intriguing. 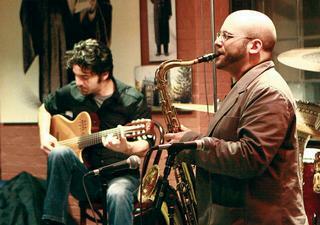 Klezwood’s performances are further enhanced by the frequent occurrence of improvisational-style solos, designed to display each band member’s individual virtuosic talents. 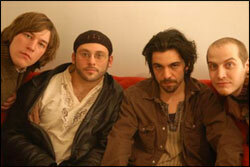 They have taken their show on the road both nationally and internationally and have recorded a cd entitled “Oye Yeah!” It is the band’s ultimate aim to “reinvigorate” the Klezmer genre and they seem to have succeeded with their reputation for creating a fun-filled, party-like atmosphere for audiences wherever they perform. Most importantly, these band mates have fun playing together and sincerely want to share their heartfelt joy with one and all through their music. So, why not come on out and join the party at Johnny D’s! Also sharing the stage for the evening, will be another great band, the Underscore Orkestra. 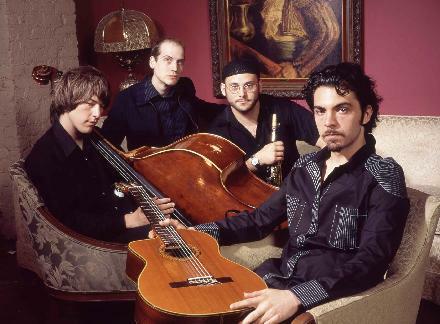 This heavily touring group from Portland, Oregon will be contributing their own special version of Klezmer, Balkan music, gypsy jazz, and swing to the show. 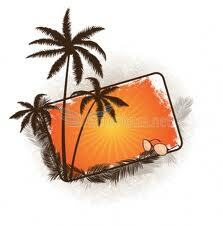 When: May 17th, Tuesday @ 8:oo p.m. Weekend still open? Here’s a last-minute entertainment suggestion. 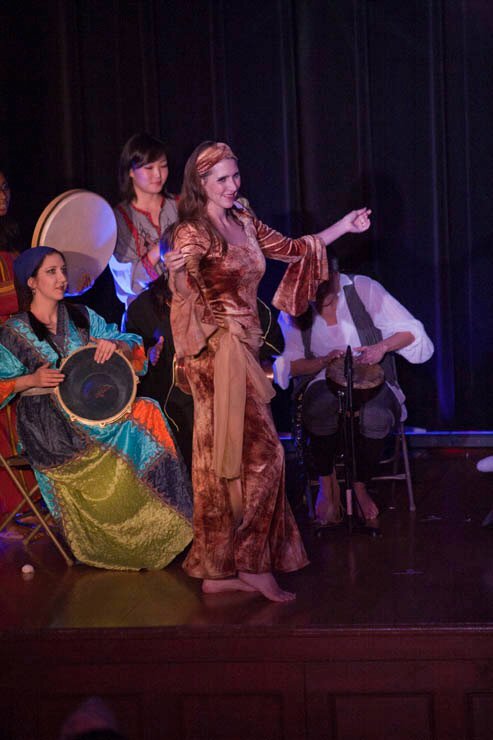 Middle East Harmonies – A Musical Dialogue Between Arab & Israeli Cultures brings together 4 premier musical entities all of which are dedicated to a common all-important performance goal- that of the promotion of world peace and understanding through the wonderful inspirational power of music. Professor Joshua Jacobson of Northeastern University, creator of this honorable event, brings together his Zamir Chorale of Boston, founding members of the once world renown Arab/Jewish-Israeli instrumental ensemble Bustan Abraham, distinguished Turkish vocal soloist Mehmet Ali Sanlikol, the youthful Boston City Singers, and featured soloist Mireille Tannous in a performance to commemorate a special marriage of Israeli and Arabic music traditions. Represented here are two indeed distinct cultures who have sadly known much conflict between each other for centuries, however, on this glorious afternoon in April, will peacefully co-exist in “perfect harmony” with each other. A related symposium on of the bridging of cultural differences through music, but in a broader context, will take place on the following Monday. Zamir Chorale of Boston (Professor Joshua Jacobson – artistic director) – Since 1969 this highly revered Boston area choral ensemble has been advancing the values of Jewish culture not only through performance but various forms of literature and educational outreach as well. Thus far they have recorded 21 cds and developed quite a following outside of the local area, both nationally and overseas in Israel and Europe. 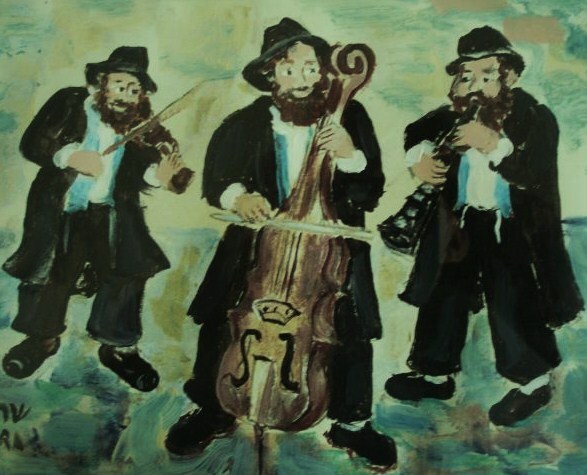 Bustan Abraham (1991-2003) – Standing as a symbol of effective collaboration between Arab and Jewish people, this infamous instrumental ensemble began as the duo of Israeli-Arab, Taiseer Elias and American-Israeli Jew, Miguel Herstein. The group membership then expanded to as many as seven players who very successfully toured Europe and North America, recorded 6 cds, and were heard on the radio worldwide. The creation of Israeli concert promoter/musician Avshalom Farjun, this ensemble was known for its renditions of highly evolved compositions laced with a variety of artfully orchestrated musical elements and improvisational sequences.You can view the concert program for the afternoon here. This looks to be quite an event, not only from a musical entertainment perspective but from a culturally educational one, as well. Mehmet Sanlikol (vocal soloist) – Professor Sanlikol holds a doctorate in music from New England Conservatory and has enjoyed a highly successful and varied career, both locally and internationally, as a performer, recording artist, composer, teacher, author, and producer. He is heavily involved with musical projects that demonstrate effective performance partnerships amongst musicians of different cultures in an atmosphere of peace and goodwill. 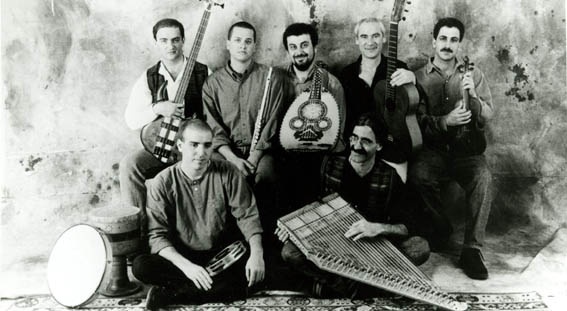 He co-founded the highly respected local ensemble Dunya, performers of contemporary Turkish music placed often times in a world fusion setting. He also produced a cd involving a first time collaboration of Greek and Turkish musicians from Cyprus which was so successful that he was featured on both NPR and PRI radio programs. You can view the concert program for the afternoon here. This looks to be quite an event, not only from a musical entertainment perspective but from a culturally educational one, as well.